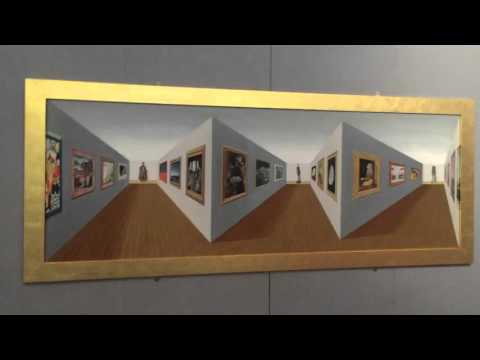 This is an amazing piece of 3D art where the closest part of the picture appears to be the furthest away, an optical illusion known as “Reverspective”. 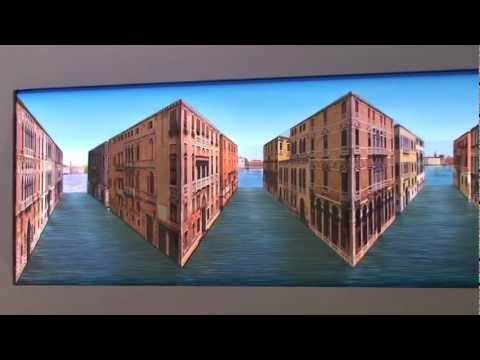 As you move around the painting, the room in the painting appears to move with you. The mind can easily be fooled.